When a patient has been diagnosed with a heart defect, surgery may be required to fix the problem. Closed heart surgery generally means that the patient will not need to be placed on a heart-lung bypass machine and the heart will not need to be opened up. This reduces the possibility of complications compared to open heart surgery. Some repairs are best performed using closed heart surgery. In other cases, closed heart surgery may be the first stage of repair for a defect that will require multiple surgeries. Closed heart surgeries may involve entry into the chest from the front (sternotomy) or from the side between the ribs (thoracotomy). .Many forms of closed heart surgery deal with the major arteries that carry blood to and from the heart rather than with the heart chambers themselves. Some examples are ligation of patent ductus arteriosus, repair of coarctation of the aorta, and the placement of pulmonary artery bands and Blalock-Taussig shunts. Some closed heart surgeries are palliative (or temporary) rather than corrective, meaning that they deal with specific problems caused by a heart defect rather than correction of the defect itself. Palliative surgery is often performed on young children who have heart defects that require staged surgeries. These children must be older before additional surgery can be done. General anesthesia will be given and continually monitored to insure that the patient remains asleep throughout the procedure. 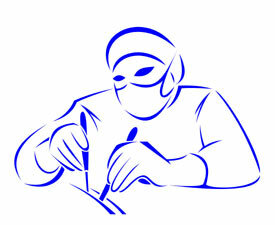 Post-operative care of the patient will involve careful monitoring, usually starting in the Intensive Care Unit (ICU). The patient will receive medications intravenously to control pain if necessary. Post-operative hospital stays and recovery periods for closed heart surgeries are generally shorter than for open heart surgeries – usually a couple of days.